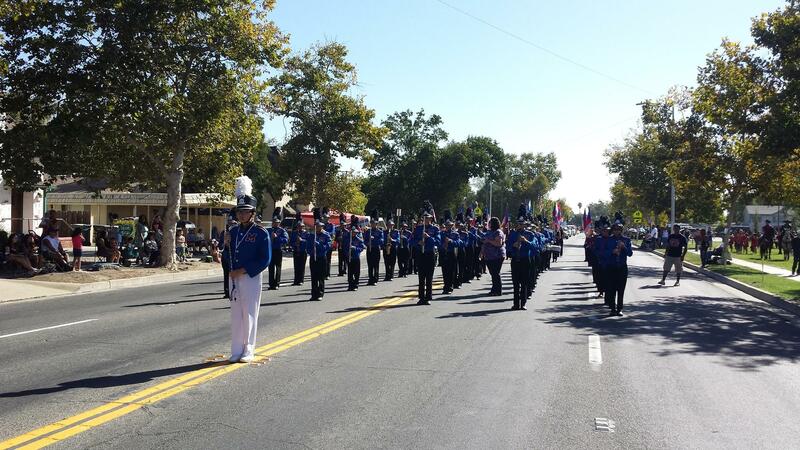 The Marching Band is comprised of band and students from the advanced band. 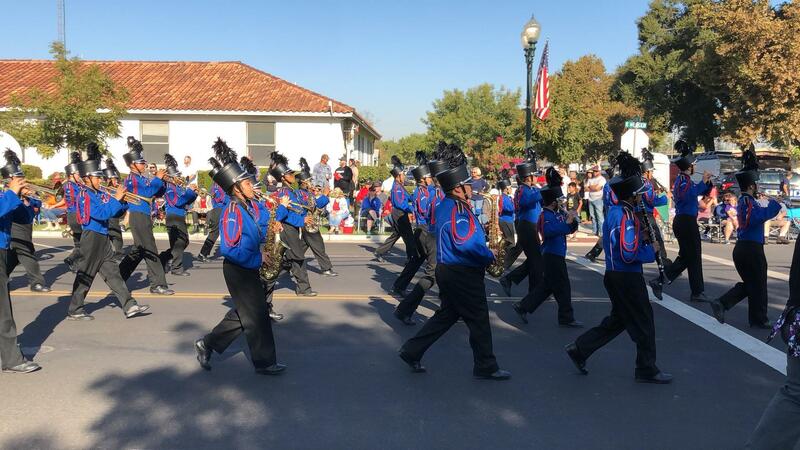 These students perform in various parades, competitions, concerts and community events. 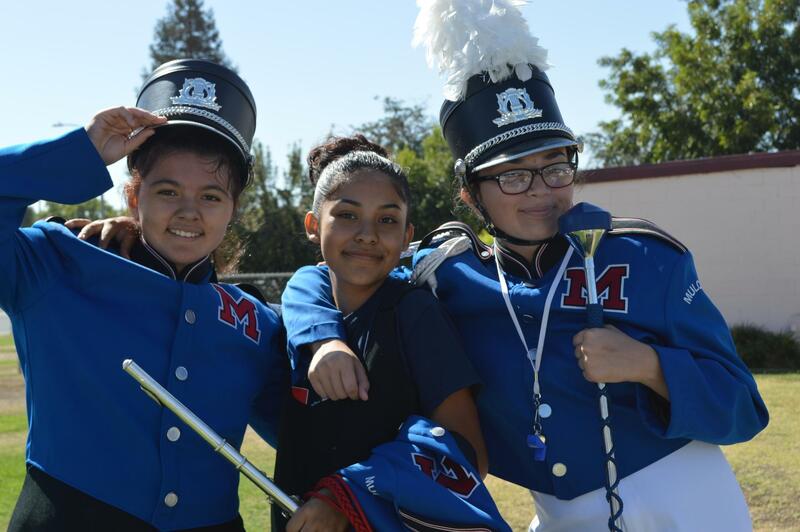 Students who are involved in Marching Band gain important skills such as self-discipline, professionalism, social experience, dedication, teamwork, leadership, personal and group accomplishments, cultural exposure and much much more. 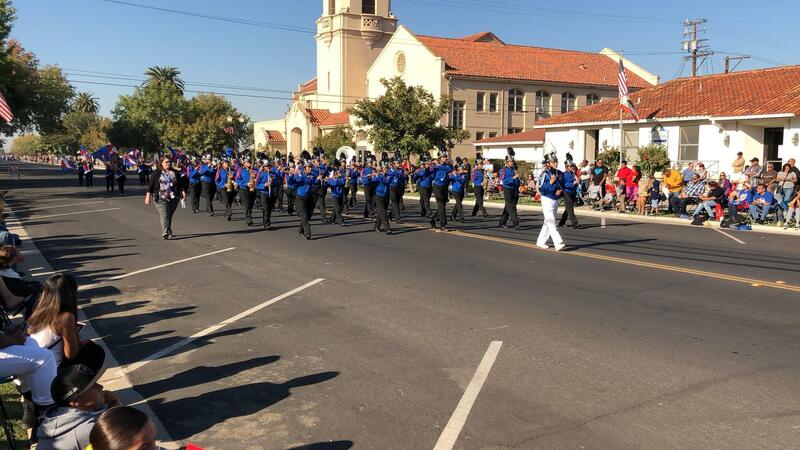 Instruments involved in Marching Band include flute, clarinet, bass clarinet, alto sax, tenor sax, baritone sax, trumpet, french horn, trombone, baritone, tuba and percussion. 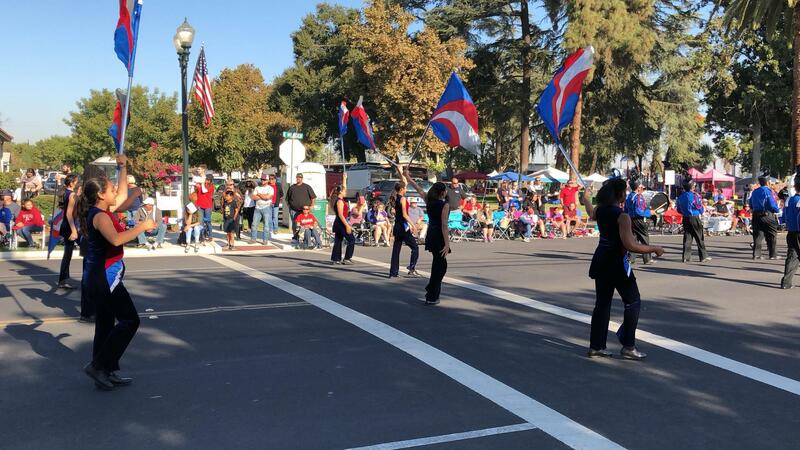 The Color guard is involved with the marching band at parades and competitions throughout the community. The purpose of the color guard is to interpret the music the marching band is playing via the synchronized work of flags and letters through dance. The Orchestra is comprised of the traditional string orchestral instruments. These are the violin, viola, cello and bass. This class is ope to any student that has played for at least half the year. The Orchestra performs at concerts, festivals, and school and community events. The Jazz Band is comprised of the traditional jazz band instruments including the flute, saxophone, trumpet, trombone, guitar, bass, piano and various percussion instruments. This class plays a variety of instrumental styles of music such as jazz, swing, rock, blues, shuffle and pop. Jazz band is an filled by an audition only and any student that has played for at least half of the year is welcomed to audition for this ensemble. The Jazz Band performs at concerts, festivals, and school and community events. The Intermediate Band is comprised of the traditional wind band instrumentation including the flute, clarinet, saxophone, trumpet, trombone, baritone, tuba and various percussion instruments. This class is ope to any student that would like to participate in the band instrumental music program. The Intermediate Band performs at concerts and school events throughout the year. 6th grade music is comprised of band and orchestra (strings). This is open to any student interested in playing an instrument. Band instruments available are flute, clarinet, also sax, trumpet, trombone, french horn, and percussion. String instruments that students can learn to play are the violin, viola, cello and bass. These students meet three times a week to learn how to read music and play their instruments. They perform at school concerts and will feed into the 7th and 8th grade music programs. 5th/6th grade choir performs at the Mulcahy Winter concert, Mulcahy Spring concert, and the district's elementary choir Spring Sing Concert at Tulare Union High School. We perform music from different time periods, languages, cultures, and genres. We are currently performing music from the movie "The Greatest Showman" and "Sleigh Ride" by Ella Fitzgerald, one of Jazz's greatest singers. Students learn about singing and performance technique, choreography and movement, collaboration within a choral ensemble, and basic music theory concepts. 7th/8th grade choir performs concerts year round at Mulcahy and all around Tulare, including other TCSD schools and local retirement homes as community service work. 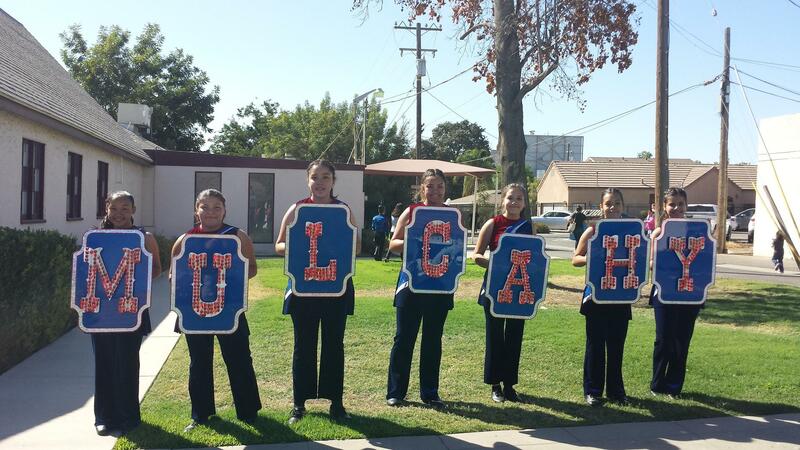 Mulcahy's choral mission is to cultivate, educate, and nurture the musical talent and creativity of choral students. We accomplish this through promoting proper vocal technique, sight singing, music theory, teamwork, dedication, performance excellence, music literacy, and exposure to a variety of musical styles and genres. We perform at local choral festivals competing against other established choirs from the central valley. Students also have the opportunity to perform solos at concerts and learn performance techniques creating a holistic music education.